Posted on 11, January 2016 by EuropaWire PR Editors | This entry was posted in Automotive, Belgium, Marketing, Sports, United Kingdom and tagged 94th edition of Brussels Motor Show, McLaren, Sports Series, Stéphane Sertang, Super Series. Bookmark the permalink. SURREY, 11-1-2016 — /EuropaWire/ — McLaren will showcase the Sports Series and Super Series at the 94th edition of the Brussels Motor Show, 12-24 January 2016. 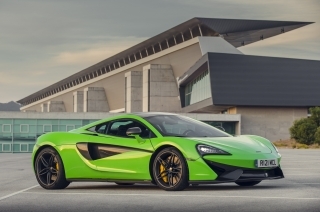 McLaren Brussels will present examples of the 570S Coupé and the now sold-out 675LT Coupé. Both models were unveiled last year – in New York and Geneva respectively – and this will be the first time the two models have been displayed together at a European motor show. McLaren Automotive on site 12 and 13 January 2016: Amel Boubaaya, European PR Manager. Full press kits for the 570S Coupé and 675LT Coupé, and a selection of high resolution images are available to view and download from the McLaren Automotive media site. European PR Manager | McLaren Automotive Ltd.